After struggling to make the cut at representative teams early in his football journey, Phillips finished his time at the Oakleigh Chargers as a dual premiership player. The 186cm Victorian can play in a range of positions on the ground and is known for his elite running and ability to win disposals at will. 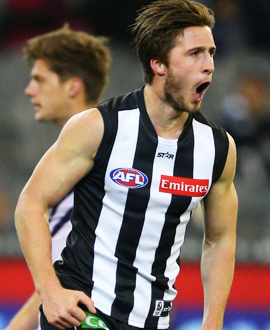 He began his time at Collingwood by winning the two-kilometre time trial on his first day, and later broke through for his senior debut against Melbourne on the Queen’s Birthday.